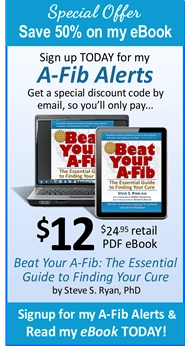 It’s very encouraging for A-Fib patients to see so many new EPs and centers performing catheter ablations. Few medical advances have been so rapidly and widely accepted. Has This Growth Been Too Fast? This rapid progress raises some issues. Has this growth been too fast? Are all these new EPs getting the training and hands-on experience they need? In fact, some EPs currently performing ablations have never passed their Clinical Cardiology Certification. One measure of competency is the rate of complications following an ablation procedure. A study of Medicare data is very revealing about in-hospital complications following catheter ablations. What was the biggest predictor of complications? 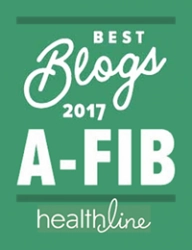 The centers with an A-Fib ablation volume of less than 25 ablations per year had the highest rate of compilations. Imagine what my ablation would have looked like and turned out had I gone to an inexperienced EP?” −Travis Van Slooten. Let me repeat that. The vast majority of A-Fib ablations in the US are performed by operators who are probably the least proficient and certainly have the highest complication rates. “My local EP wanted to do my ablation. He was a really nice guy but only does about a dozen or so procedures every year. He had me convinced that I was an easy case and that he could easily take care of it. Most people would have settled with the local EP in this situation. Had I done that, it would have been a disaster. It turned out to be far more complex as you’ve noted in your report, How and Why to Read an Operating Room Report. To read about Travis’ ablation experience, visit his blog post, My A-Fib Journey. There is no government program to test EPs for ongoing competency. 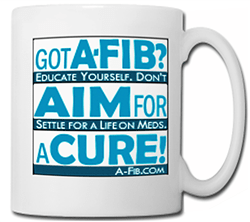 There are all too many EPs today who do very few A-Fib ablations, have high complication rates, don’t use the proper equipment, haven’t been trained by Master EPs, don’t use proper ablation protocols, and have lost or possibly never had competency in doing A-Fib ablations. There is no government program to test EPs for ongoing competency, to require they undergo updated training by experts and Master EPs, to require they learn and use newer and better ablation technologies and strategies. 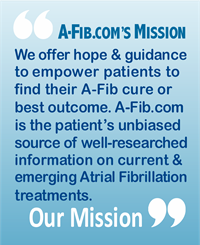 For example, even though the new Contact Force sensing catheters have been proven to greatly improve A-Fib ablation results, no EP is required to learn and use them. This is not the case in other professions where lives and health are at risk. Airline pilots, for example, must regularly re-certify, undergo intense training, flight simulation, learn how to use new equipment, etc. to maintain their pilot’s license. Don’t just settle for an EP just because they have an office near you. I know it’s a lot of effort. You have to work at finding the right EP―do your due diligence. You have to be prepared to travel if that’s what it takes. 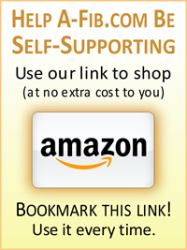 Remember: You must be your own best patient advocate. 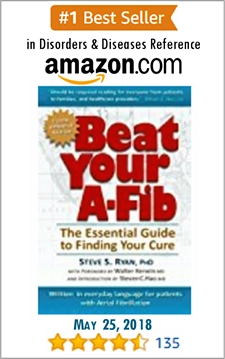 See Finding the Right Doctor for You and your A-Fib for the steps to find the right EP. Our Directory of Doctors and Medical Centers and Steve’s Lists of Doctors by Specialty offers you the opportunity to locate and contact a healthcare professional directly. NOTICE: We accept no fee, benefit or value of any kind for listing a specific doctor or medical center in our Directory of Doctors and Medical Centers or for inclusion in Steve’s Lists of Doctors by Specialty.